Quotation marks me was my first solo work. Rather than a negotiation between people, choreographic writing places itself as a negotiation between traditions. Quotation marks me questions how choreography situates itself in relation to the numerous conventions defining what a choreography might or should be. 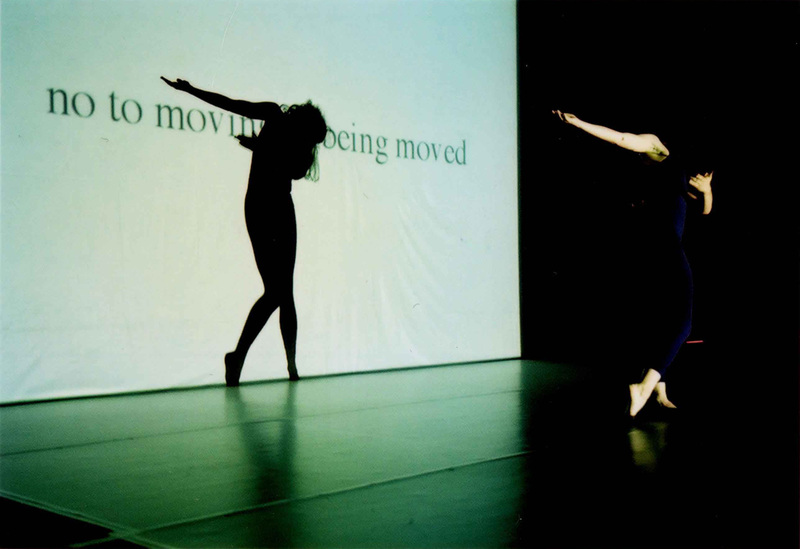 Based on two paradigmatic texts of twentieth century dance practices, The Art of Making Dances by Doris Humphrey and the no manifesto by Yvonne Rainer, Quotation marks me embraces the conceptions proposed by both texts, taking their contradictory approaches to choreography as a possibility to articulate a new position. Without taking sides for one text or the other, Quotation marks me attempts to question the all-powerful authority which those can have and proposes a conceptual articulation of choreographic expression whilst investing dance itself as art of the moving body.